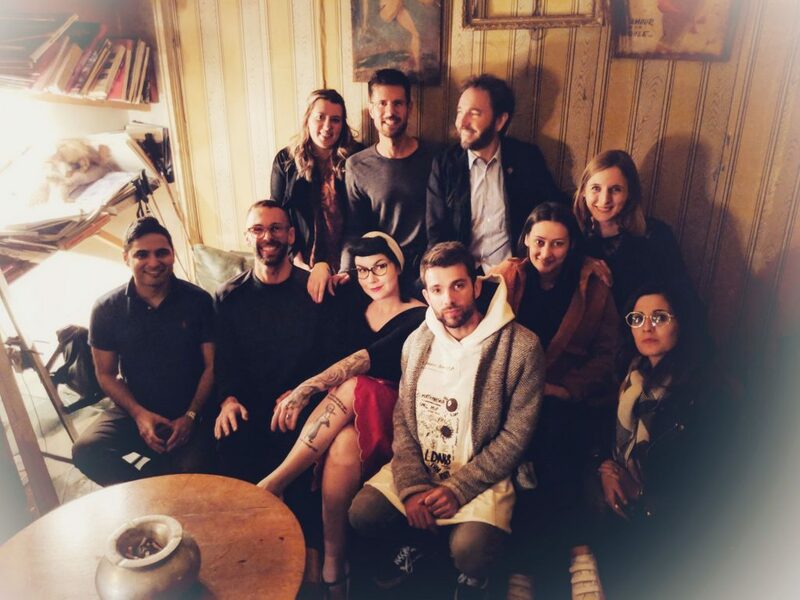 Whenever we have the opportunity to spend time with the Bruno Team, consisting of Bruno, Marina, Hélène, Amélie and Rémy, something unusual always happens. We arrived early to our reservation at Le Derrière and slipped in the back door. Don’t worry, it only gets better from here. “Le nom?” The hostess asked. “Par ici s’il-vous-plait.” We followed her to a selection of tables where one gentleman was sitting by himself. He was trim with a cream fitted turtleneck, pointed shoes and gold aviators. Never having met him before, we made our awkward English-French introductions only to find out he was Italian and his name was Alessandro. In my head, I heard Lady Gaga singing Alejandro. “What do you do in the industry?” I asked. “I am here for Paris Fashion Week,” he explained. Prompted by some questions from Nicole, he divulged that he was in a special coupling with the face of Jean Paul Gaultier, his team called him Jesus Christ because he gave calm direction and he liked to relax in Miami. Half an hour later Marina walked by and I shouted out to her. She came over, we all said hi and then she held out her hand to introduce herself to Alessandro. Strange, I thought. At that time, six other new people came over to the table and everyone started introducing themselves. “I have never met them before.” She whispered. We all awkwardly slow stepped away into the restaurant.